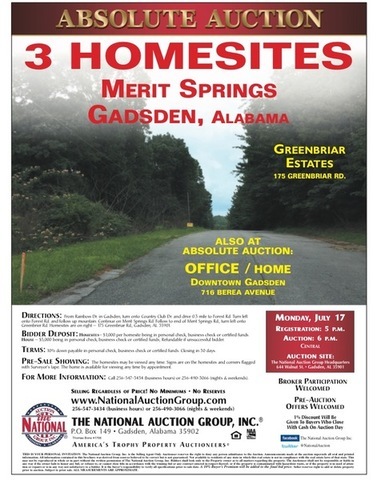 ABSOLUTE AUCTION: Monday, July 17! Three building lots in Country Club area in Gadsden. All three selling absolute! Great investment! Included in this auction is a 3BR/1BA home/office downtown.